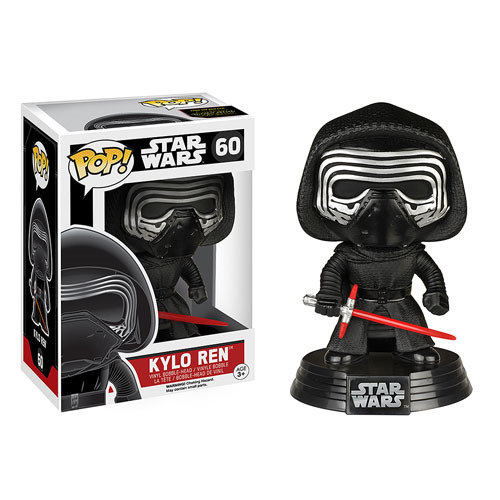 From Star Wars: Episode VII - The Force Awakens comes Kylo Ren as a Pop! Vinyl Figure bobble head! A dark warrior strong with the Force, Kylo Ren commands First Order missions with a temper as fiery as his unconventional lightsaber. This Kylo Ren Pop! Vinyl Bobble Head measures 3 3/4-inches tall and comes with a decorative Star Wars stand. Ages 3 and up.